Japan went bonkers over this free-to-play card battler. Is the U.S. next? This week saw the release of two games with millions of fans. The first was Activision's Call of Duty: Black Ops 2. 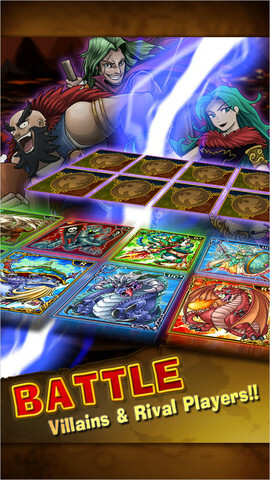 The second, strangely enough, was Konami and GREE's Dragon Collection, a freemium iPhone card battle game that has taken Japan by storm to the tune of seven million registered users. The mobile social experience sees players exploring a rich fantasy world in search of Dragon Cards. To celebrate the game's arrival in the U.S., Konami created all-new and western exclusive cards, though the core experience of squaring off against rivals (both human and computer controlled) remains intact. This also involves fusing monsters to create more powerful creatures, and earning bonus points by cheering on friends. That said, Dragon Collection is currently available for iPhone, with an Android version set to arrive later this year.